I made these Pallet Wood Stocking Hangers using pallet stringers and scrap cedar planks! I was so impressed with the idea of keeping the raw edge of the cedar in a project, and this just seemed like such a perfect fit. This project was also my very first attempt at a new kind of wood joint, the Dado Joint. 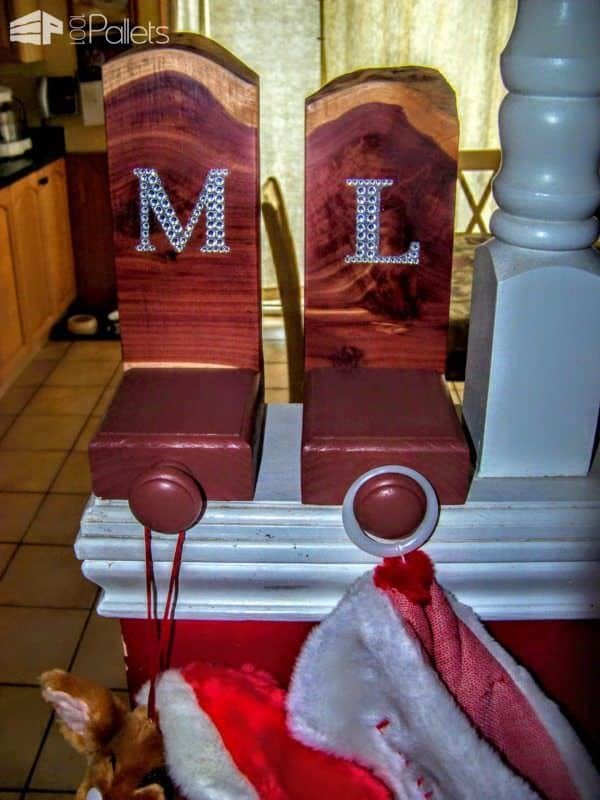 Get on Santa's "Nice List" with a set of these Pallet Wood Stocking Hangers! First I dismantled a pallet and saved the 2x4" lumber. I cut the pallet stringers to the length I wanted for the bases. Next, I used a table saw with a Dado blade and cut channels wide enough to accommodate the cedar pieces. Install the wood knobs. I cut a decorative edge on the base pieces using a router. Sand everything well! Finally, I painted the bases using a sample paint I purchased in the clearance aisle at my local hardware store. I trimmed the cedar to size and sanded them smooth, protecting the live edge. To bring out the color of the cedar I used a few coats of spray lacquer. Secure everything together using counter-sunk Kreg screws from the bottom. 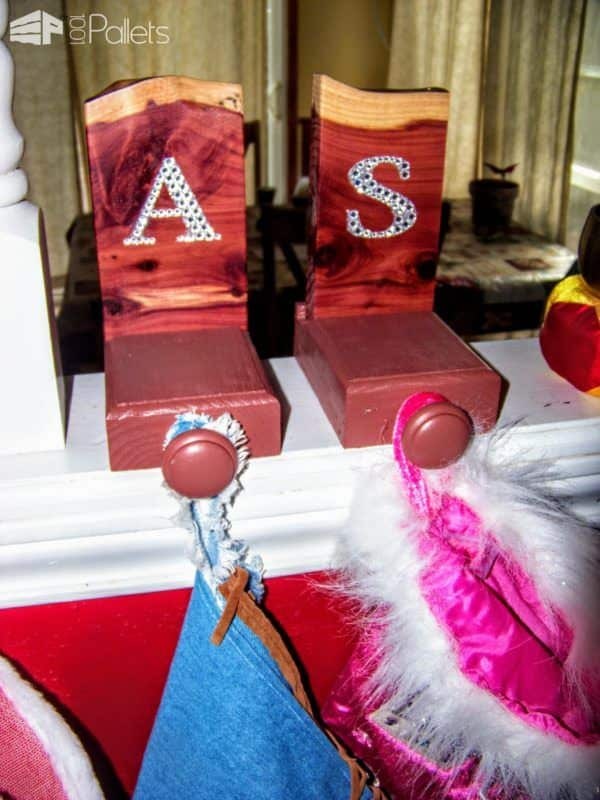 Finally, I added adhesive-backed rhinestone letters from a local craft store & installed four wood drawer knobs that I also painted the color of the bases. 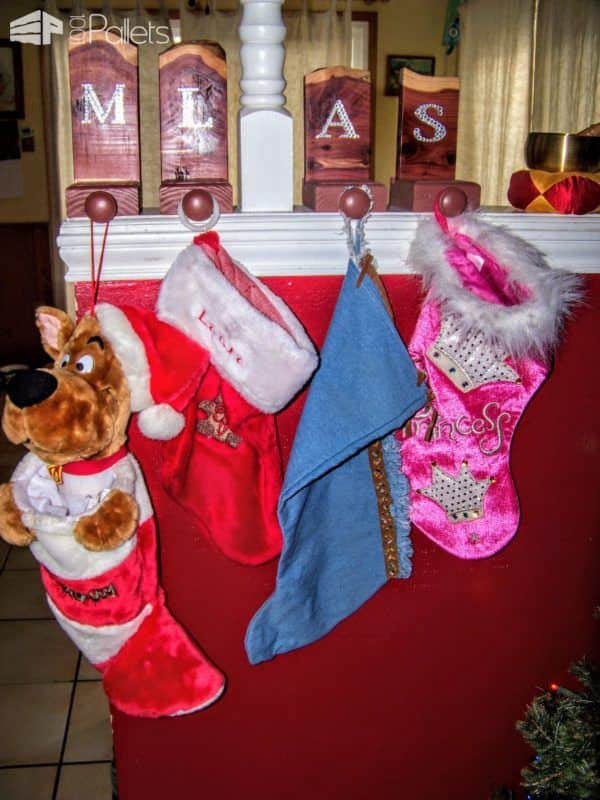 And the stockings were hung on the Pallet Wood Stocking Hangers With Care. 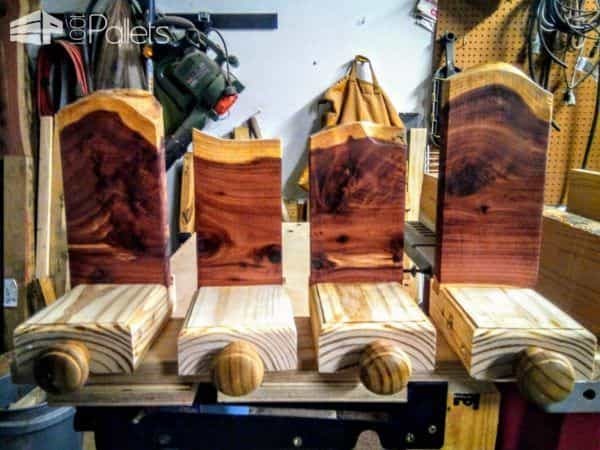 Use live-edge wood pieces of any type to create unique stocking hangers. Add any embellishments you desire. I used adhesive-backed rhinestone letters. 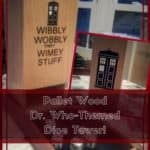 Upcycle or purchase unfinished wood drawer pulls. Paint them to match the base color. Test-fitting the pieces together since this was my first attempt at a dado joint. 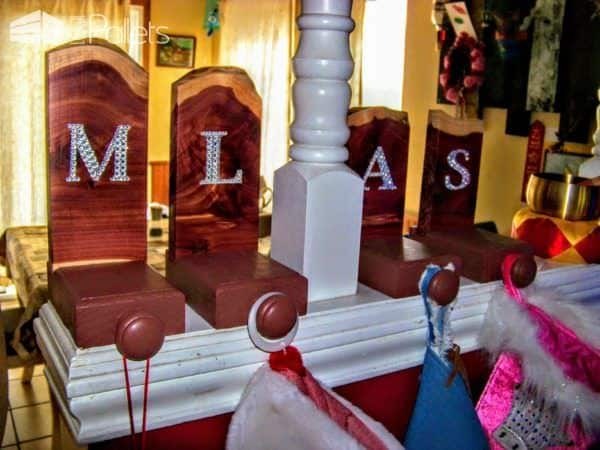 Small wood drawer knobs are the perfect way to hang a variety of stocking hangers. Here's an easy DIY Embroidery Floss Card Template idea! Make a custom Pallet Tool Barn for your woodworking power tools!